How close is to work? How close is it to public transportation? Does it have enough space? After creating a short list of priorities in a rental apartment, create a list of questions and contact each community directly. Anyone with a pet is encouraged to ask the apartment community what their pet policy is. Some communities may allow pets with an additional fee while others may only allow cats, but no dogs. Provide the move-in date and ask for the prices, number of bedrooms and other pertinent information of the available units at the community. End each phone call by scheduling an appointment to have a tour. It is always best to do a thorough inspection. Start by observing the exterior of the building and the landscaping to determine whether it is clean, orderly and in working function. Once inside the apartment, take a moment to use every sense to observe the space. Does it smell funny? Is the carpet dirty? Does it look out on a brick wall? These questions will provide a brief glimpse into what life in the apartment might be like. Many apartment communities have set rental prices and do not negotiate. However, this does not mean that specials or coupons are not available. Many communities will offer a reduced deposit or a discounted month of rent if a person moves in at a specific time of month or year. Always inquire at the leasing office for this type of specific information. 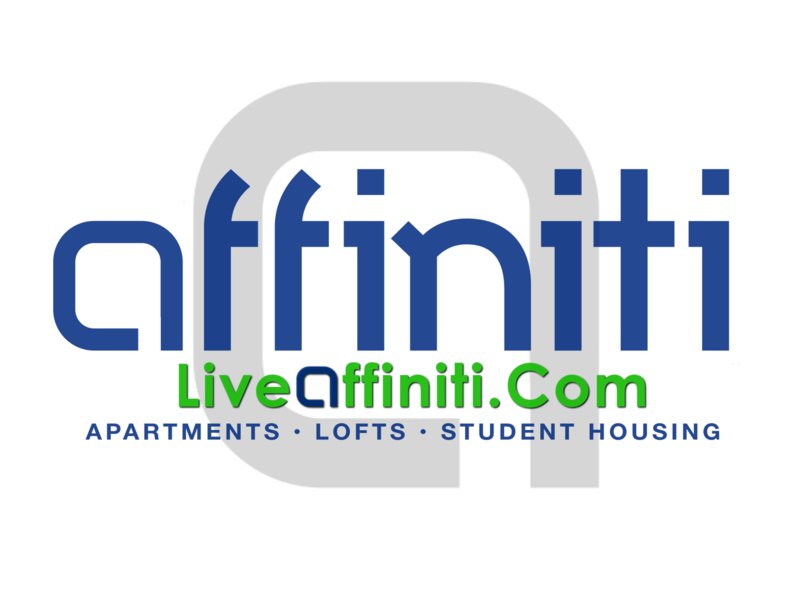 Because finding an apartment can be a bit overwhelming, Affiniti Management Services makes the process easy. Not only do we have fourteen gorgeous apartment communities, but also a staff dedicated to assisting our residents.